I fully agree in what he has said. The problem in our country is the poor and farmers are illiterate and doesn't understand these issues. Their thinking is different. Let us hope Modi gets another term to guide our present generation to a prosperous and glorious Bharat. Is It Wage crisis or Job crisis in India ? Opposition argues it is Job crisis - though many feel it is wage crisis. Minimum pay in Govt. Sector is 18000 BEs apply for a peon job in Govt.Sector - he is found lacking in skills in in pvt. sector ! To become Ola driver you need a driving licence and not a university degree! Looks so! காவல்காரேன் Modi gets களவாணி Modi arrested! 1/1/2018-Chhota Modi escapes India after looting ₹26,306 Cr. 23/1/2018-Nirav Modi poses with PM Modi in Geneva. Till Nov 2018-He travels the world. 9/3/2019: Telegraph exposes Nirav Modi in London. Cong questions PM. What is this all about….?? Activist Shehzad Poonawalla claimed Thursday Congress chief Rahul Gandhi met PNB fraud accused Nirav Modi at a plush hotel here in 2013. There is no clear evidence to prove as to who is responsible, I mean which party till date. If there is material evidence, anybody is free to knock to doors of court which includes our Adyar Modi. We have some who are more willing to rush here to express their expert opinion based on vague guess. Accusing others based on vague guess is not fair. I hear someone saying that it is all blame game. Fraudulent transactions had started as early as in 2011 during the Manmohan Singh-led UPA government. s the Central Bureau of Investigation (CBI) and the Enforcement Directorate (ED) have begun probe in the Rs 11,400-crore Punjab National Bank (PNB) fraud case allegedly by diamond trader Nirav Modi, Congress president Rahul Gandhi fully blamed the Narendra Modi government. However, PNB officials and BJP leaders alleged that the fraudulent transactions had started as early as in 2011 during the Manmohan Singh-led UPA government. Rahul Gandhi today sought lay all the blame for the PNB scam at the Modi government's door. The Congress president, in a sarcastic tweet hashtagged "From1MODI2another", alleged that the "guide to looting India by Nirav Modi" was to hug Prime Minister Narendra Modi and be seen with him in Davos. Elaborating on the 'guide', Rahul Gandhi further alleged that Nirav Modi used that clout to "steal Rs 2,000 crore" and "slip out of the country like (Vijay) Mallya, while the government looks the other way". Pot calling the kettle black.. 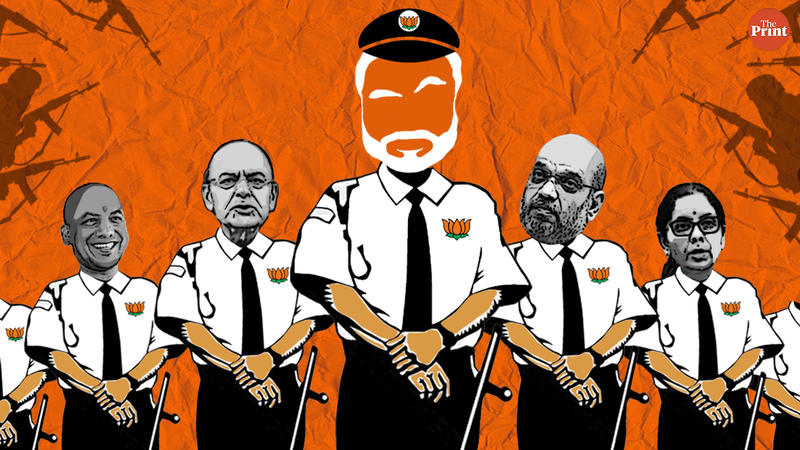 Facing flak from the Congress after fugitive diamantaire Nirav Modi was spotted in London, the ruling BJP on Saturday hit back saying he began his fraud in 2011 when the UPA dispensation was in power and that the Modi government detected and exposed it. "Many of these who cheated India during the UPA government have been brought back and are in custody. Others will follow. They are living the life of fugitives and refugees," the BJP tweeted, terming the allegations of the opposition party a case of pot calling the kettle black. The Congress had earlier slammed the government on Saturday over a media report that the fugitive diamantaire was living in a swanky apartment in London and accused Prime Minister Narendra Modi of running a "fraudster settlement yojana" for such fugitives. This Government is committed to its promises. Moving towards the goal set to achieve. In the process, it is facing lot of challenges and progressing steadily…. brick by brick. The rapid economic growth and developmental strides of India in the last five years have been transformational and the country is all set to emerge as a USD 5 trillion economy in the next five years, India's envoy to the US has said. India is one of the strongest major emerging economies, India's Ambassador to the US Harsh Vardhan Shringla said at an event organised by the Federation of Indian Chambers of Commerce and Industry with the George Washington University's Institute for International Economic Policy here on Tuesday. In terms of fundamentals of the country's economy, its inflation has come down from over 10 per cent five years ago to about 4.6 per cent, the fiscal deficit has come down from almost six per cent to 3 per cent which are very important indicators, he said. "We have made huge strides in the last five years. I think it has been transformational the way we have grown," Shringla said. "Inflation is also seen as an unpaid tax on the middle class and the poor. So bringing down inflation, bringing down fiscal deficit is good governance and good management of the economy," he said, adding that India has been successful in attracting USD 259 billion in Foreign Direct Investment, 90 per cent of which has come through the automatic route. 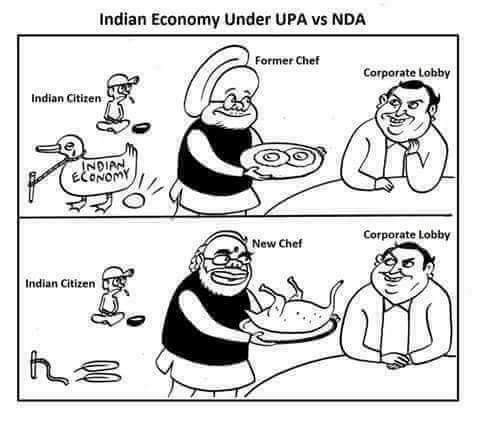 And what is the manifesto of this govt for the next 5 yrs ?? Not a word in any media discussions or in the rallies. Modi isn’t going to voters on his track record but on the fear of the terrorist across the border and the Muslims within. It’s a battle on his terms. We need the current PM for next 10 years to see India turning to a powerful nation. Narendra Modi – Prime Minister: Narendra Modi took over as Prime Minister of the country on 26th May, 2014 on the back of gloomy days and various corruption scandals left behind by the Congress-led UPA government. Narendra Modi was the chief minister of Gujarat for 12 consecutive years and known for Gujarat model of development, before he took over as Prime Minister of India. People reposed faith in Narendra Modi and his slogan ‘Sabka Saath, Sabka Vikas’ and elected him with clear majority of 282 seats for BJP alone. This was after 30 years, that any party in India got a clear majority to form the government. True to his slogan of ‘Sabka Saath, Sabka Vikas’, PM Modi has charted out clear path for progress of India and all Indians without any discrimination, as we will see in the works in various sectors listed below. Department of Space – ISRO directly works under, and reports to the Prime Minister. 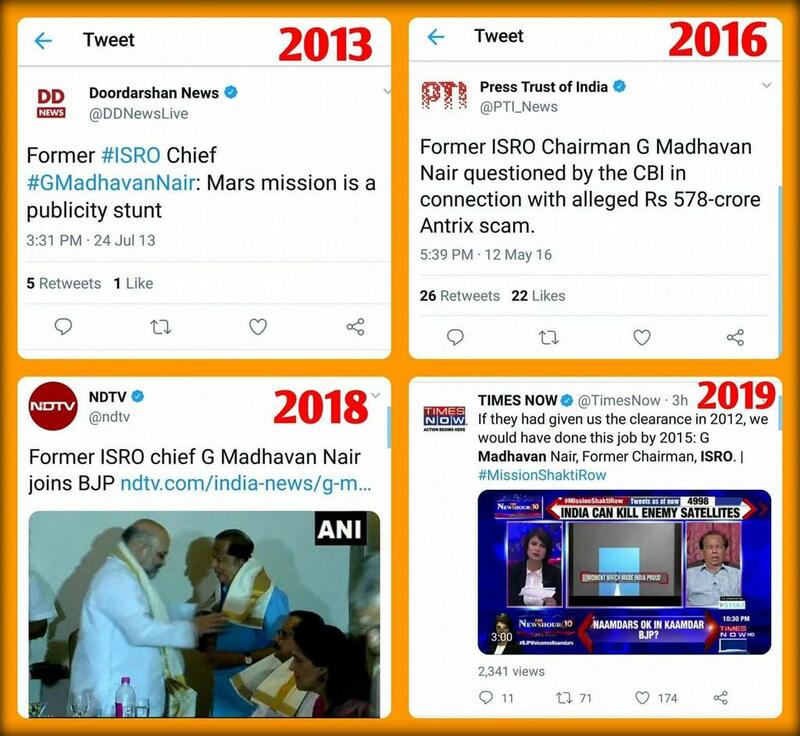 Though the success of ISRO is an incremental process, but ISRO’s launch of 104 satellites in one go, which created a world record, beating previous record of 37 satellites by Russia by a huge margin can be counted as big success. Prime Minister Narendra Modi in his last Independence Day speech of the current tenure from Red Fort has also announced to put the man in space before August 2022 when India celebrates its 75thyear of independence, which is also a significant announcement. India would be the only fourth country in the world – after USA, Russia and China to achieve this feat. Recently the cabinet has cleared manned mission at the cost of Rs 10,000 crore. ISRO chairman K Sivan recently said that, the ISRO is all set to launch Gaganyaan by December 2021. Indigenous navigation system, NavIC has also been launched by ISRO making India self-dependent in the navigation, and without having to depend on American Global Positioning System (GPS). It may be recalled that during the Kargil war, USA refused to provide GPS locations of Pakistani intruders to India, which hampered Indian operations a bit, however Indian army overcame those hurdles, and had convincing victory over Pakistan in the war. This incident however forced India to build indigenous navigation systems and ISRO lived up to the challenge, and it has launched NavIC for domestic use for common citizens, as well as Indian security agencies. Recently Tamil Nadu fishermen were provided with NavIC powered devices, to give them real time update about weather, position etc. We all know which party was responsible all this mess and hence were shown the door. One can engage with discussion or lock horn only with members who talk with some common sense, facts and figures AND CERTAINLY NOT WITH MODI HATERS, MODI BASHERS WHO KNOW ONLY TO REPEAT LIES. It is better to ignore them and their flood of postings. 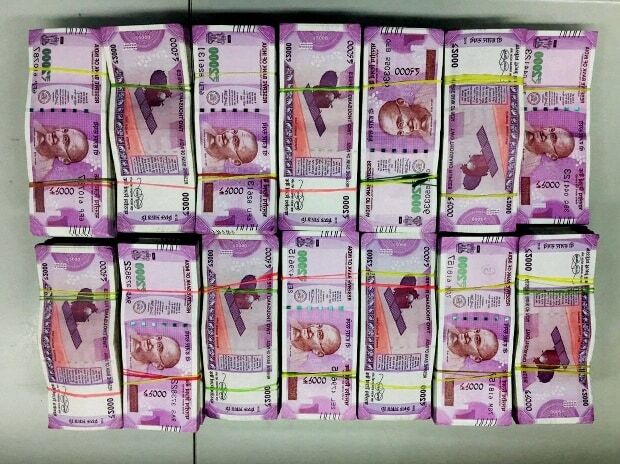 With Rs 67 crore cash seized every day in poll-bound India, two thirds of total cash seized during entire 2014 general elections has been seized in just three days in 2019. The amount of cash seizures in the run up to 2019 elections is mind boggling since cash seizures in the entire 2014 general elections amounted to Rs 300 crore. In effect, a good two weeks before the start of the general elections, ECI officials and law enforcement agencies have already seized 67 per cent of the cash during the entire course of the 2014 elections. 1. Demonetisation - Big Fail. Millions of businesses closed down, millions of people lost jobs. 2. GST - Big Fail - ill conceived policy with disastrous implementation. Millions of businesses closed, millions of people lost jobs. 3. 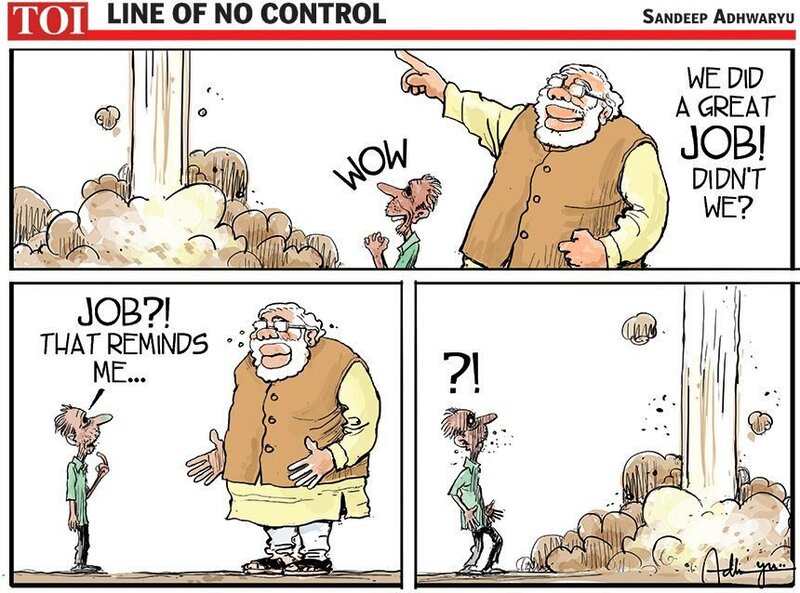 2 Crore Jobs per year - Big Fail. No jobs were created but 100s of millions lost. Unemployment at 45 yr high - I did not write this report, the govt did. 4. 15 lakhs - Big Fail. None has got any money, let alone 15 lakhs. 5. Sabka sath Sabka Vikas - Big Fail. Communal hatred, lynchistan, gau rakshaks running riot, senior ministers and leaders talking and spreading hatred openly on TV. 6. Development - Big Fail. MassiveNPA crisis, Banks are collapsing, IDBI collapsed, ilfs collapsed, banks recapitalisation. Big businesses on bankruptcy. Million of jobs lost. 7. Swatch Bharat - Big Fail - None of the cities are clean, Ganga is filled with all chemical waste from companies. 6. Ujwala scheme - Big Fail - Most of the people in informal sector have lost jobs, how can they pay for monthly gas ?? 7. Toilets - Big Fail - I have travelled 1000s of kms in the last 2 yrs, have not seen a single toilet anywhere on the highways, temple towns, villages. None, nada, nope, zero..
8. Farm crisis - Mega Fail - Never in the history we have had such massive crisis, that farmers are continuously protesting for 2 yrs even after the dole money of 6000 per year. 9. Corruption - Big Fail. Rafale deal expose. And to boot NO Lokpal was setup till a few days back when the entire 2014 campaign was centred on this !! 10. National River Interlink - Big Fail. Project has not been started let alone any sight of completion. Some report on some money in the future pipeline,, LOL. 11. 100 Smart city project - Big Fail. Nothing has been done, some money allocated to do some silly study...some bureacrats and politicians would have pocketed this and built a few houses or better some commercial complexes..and rented them saying smart city rentals....LOL. 12. Swiss Bank Money - Big Fail. Has anything been done to get the black money from swiss bank. Big nothing. Total and complete failure on al fronts !!! Now what do we call this guy who can't understand, cannot analyse, cannot decipher, do not have critical thinking skills, and becomes a Andha Bakth ?? ?